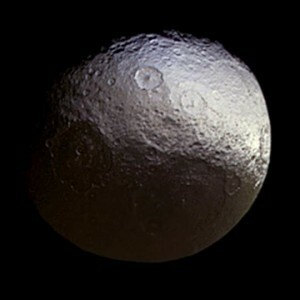 Iapetus is a moon of Saturn known for two distinctive features. 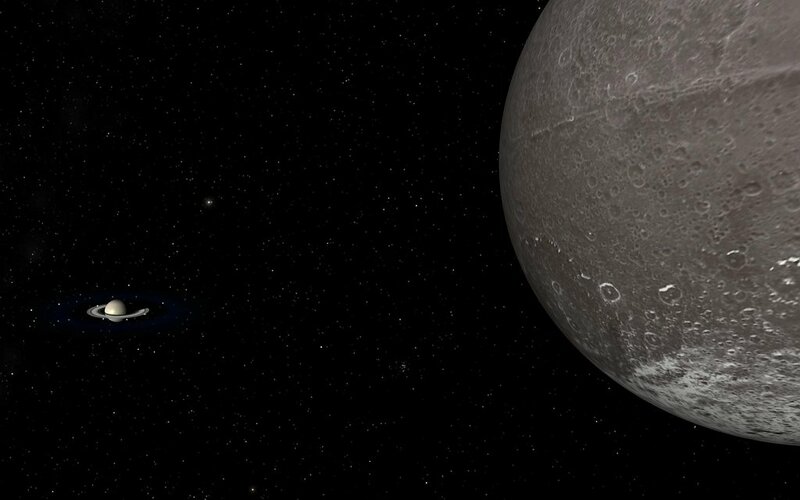 One is that it has a two-tone coloration, where roughly half of the moon is a dark, reddish-brown color while the other half is white and almost as bright as Jupiter’s moon Europa. 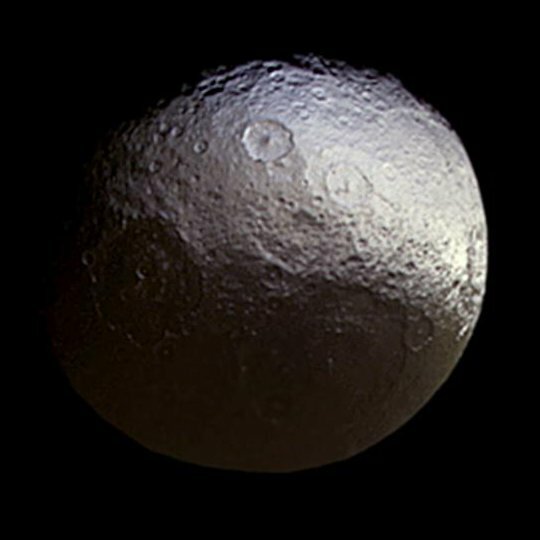 It’s not entirely clear what gives Iapetus is yin yang coloring, but the most popular view is that it is cause by sublimation of the moon’s warmer side. Ice evaporates away leaving the dark remnant material. We know, for example, that the dark layer is no more than a foot thick, and has a bright layer underneath it. Another strange feature is the moon’s large equatorial ridge. It’s about 1,300 km long, and 13 km high. We know that the ridge is old because it is heavily cratered. Again, we aren’t entirely sure how such a ridge could have formed, but generally fall into two camps. One is that it was produced by some type of internal mechanism such as a convective overturn in its youth, the other is that is was caused an external mechanism such as the accumulation of debris from an ancient ring system. A recent paper in Icarus gives support to the accumulation model. 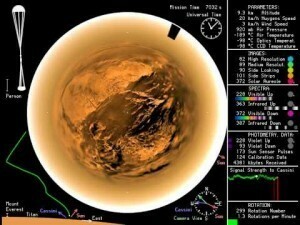 In this work the team made a detailed model of the ridge system based upon observations from the Cassini probe. They then measured the shapes of the mountain peaks in the ridge, and found that they were within the angle of repose. That is, the angle at which accumulated matter tends to form a peak. Any steeper and the material will tend to collapse to a shallower peak. A geologic upheaval would likely produce a wide range of peak angles, so this suggests the ridge was produced by accumulation. Accumulation from a collapsed ring system would explain why the ridge lies along the equator. Dr. Koberlein, I’m naively asking: why did you refer to Iapetus as a planet in this phrase? Cause my thinky-writey not good. I’ve corrected it. Which mechanism can cause ring system to collapse on to the moon surface ? Tidal ? There could be several reasons. Gravitational disruption from a close encounter, some type of drag, etc. The article doesn’t go into a cause for the ring collapse. Cool, I’ve never heard of the ring-ridge hypothesis before. Ah, I’m so behind on so many solar system things. Difficult to imagine ring material, which has low adhesion? collapsing into such a compact reflection?